Refined deodorized sunflower oil manufactured from the natural sunflower seeds without chemical treatment. The color range of sunflower oil is from clear light yellow to golden hue. Sunflower oil consists of vitamins and a number of useful substances. The main part is made up by vitamin E, also consists of vitamins A, D, vegetable fats, which improve the process of metabolism and strengthen immune system. 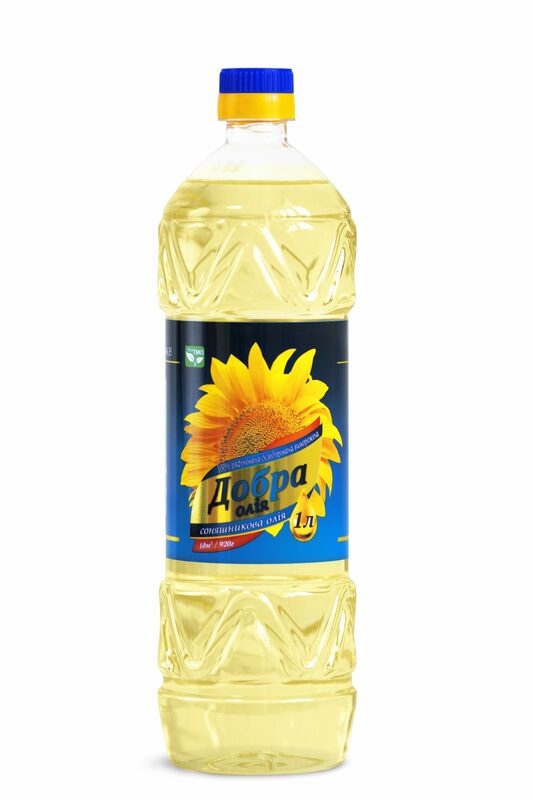 The range of application of sunflower oil in large volumes is quite wide, for example, oil with a volume of 1 liter is suitable for cooking home dishes and it will last at two times more consumption than 0.5 L.
The products is packed in PAT bottles of different volumes: 840 Ml, 1 L, 1,8 L, 3 L, 5 L. Every bottle of sunflower oil has its own a unique engraving and design. Easy to use and storage. On the label indicated the composition, nutritional value of the product and the manufacturer’s coordinates. Material - PAT. Ergonomic bottles, preferences of global customers. Material - laminated carton. Differs high strength and density. Used to better safety of the goods. Standart - 15 pcs in box. Number of boxes in the container - 1750 psc. Number of bottles in the container - 26250 psc.